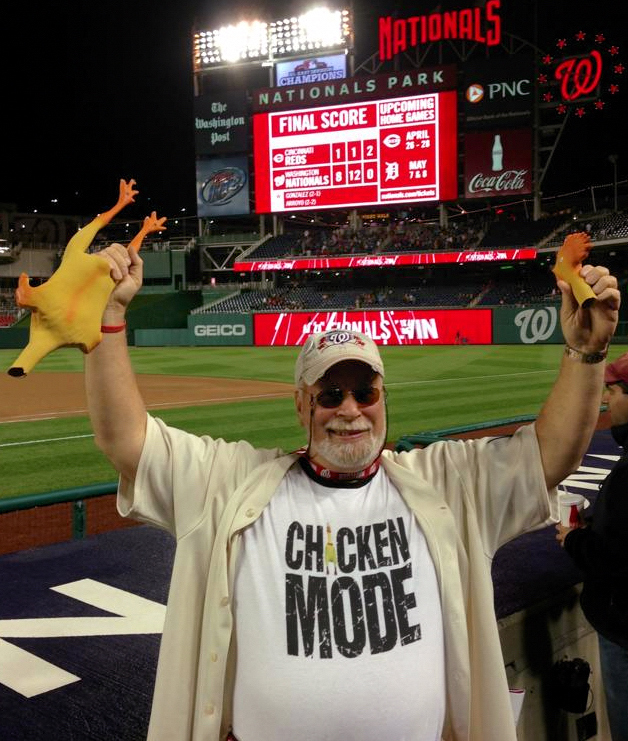 Chicken Mode | Let Teddy Win! 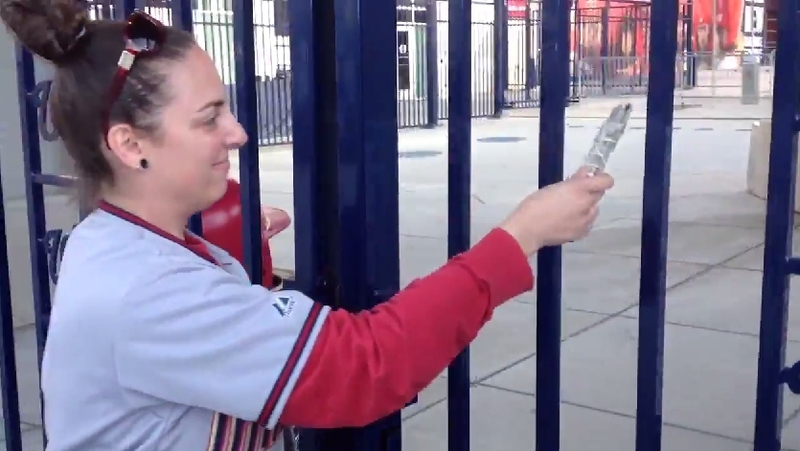 As the Washington Nationals arrive in San Francisco with their backs to the wall in the National League Division Series playoffs, fans back home have taken matters into their own hands. 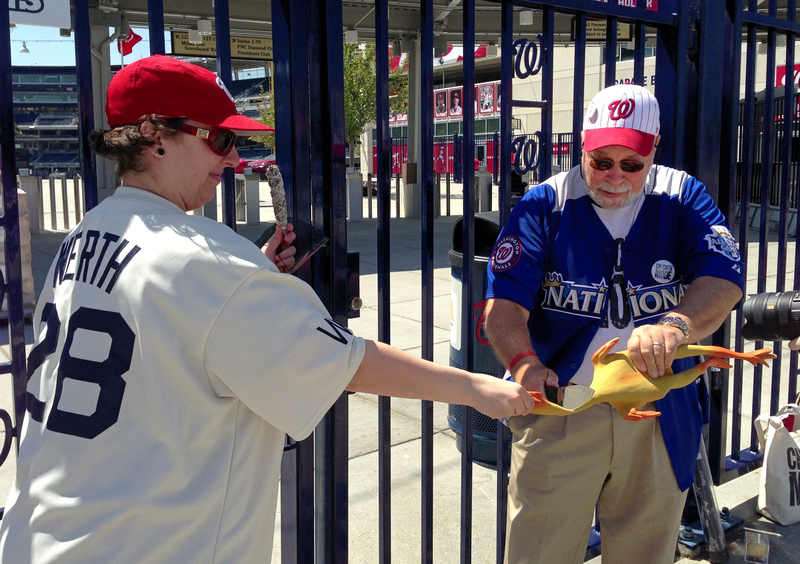 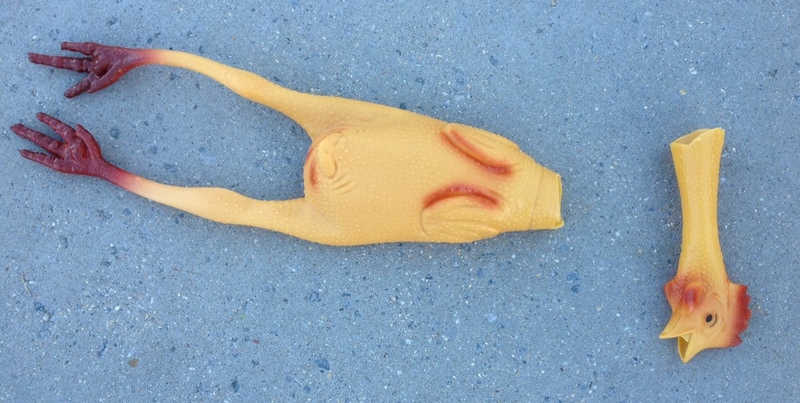 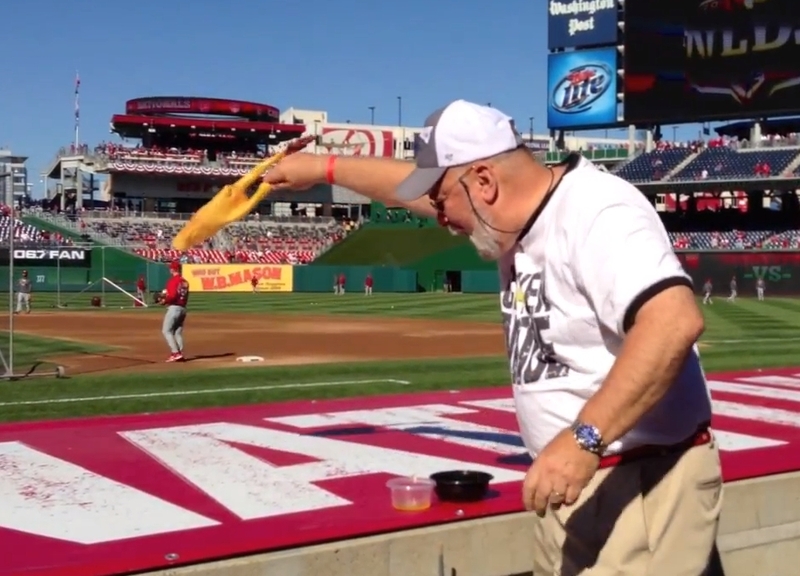 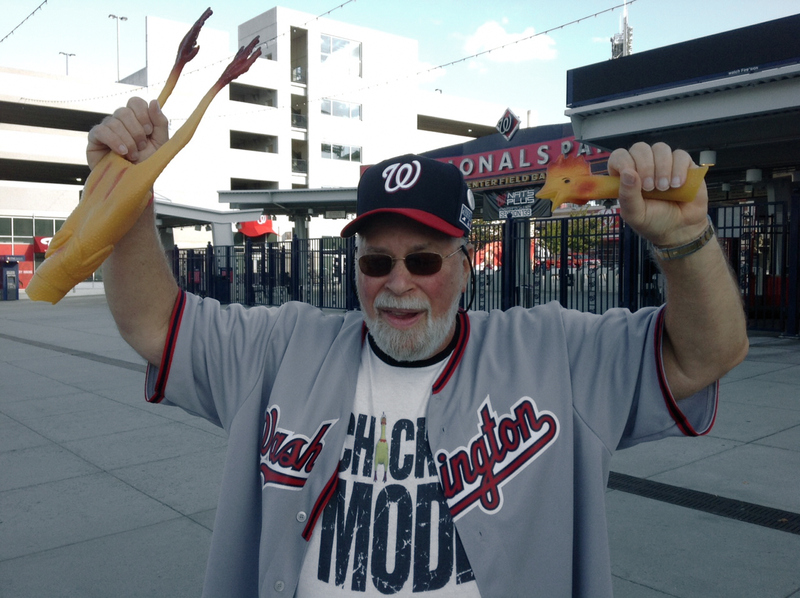 Longtime Nats fan and self-titled “Rubber Chicken Man” Hugh Kaufman led a group of 14 fans in an impromptu gathering outside Nationals Park on Sunday Afternoon, where they performed a ritual sacrifice of a rubber chicken, and burned sage outside the centerfield gate. 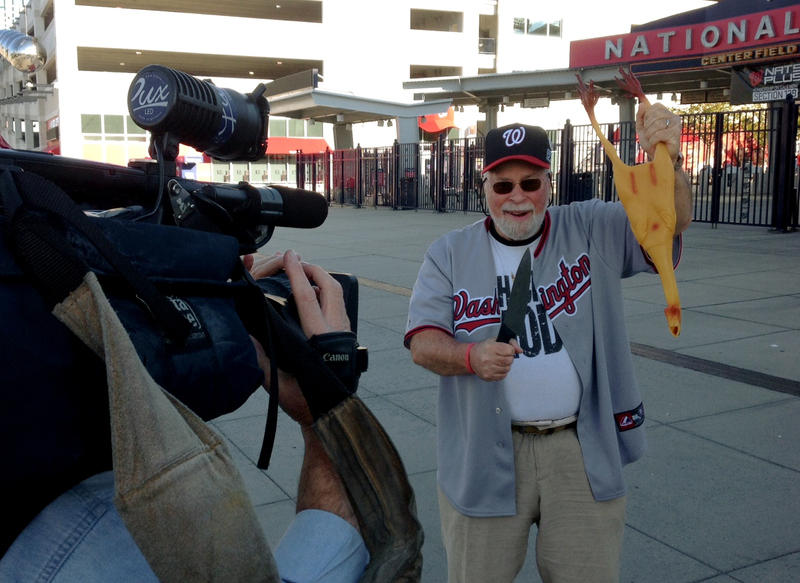 After the chicken was beheaded, Kaufman carried the decapitated rubber toy around the centerfield gate as fellow fan Jenn Rubenstein burned sage in an act known as smudging, which is reputed to bless a house and dispel it of negative energy and influences. 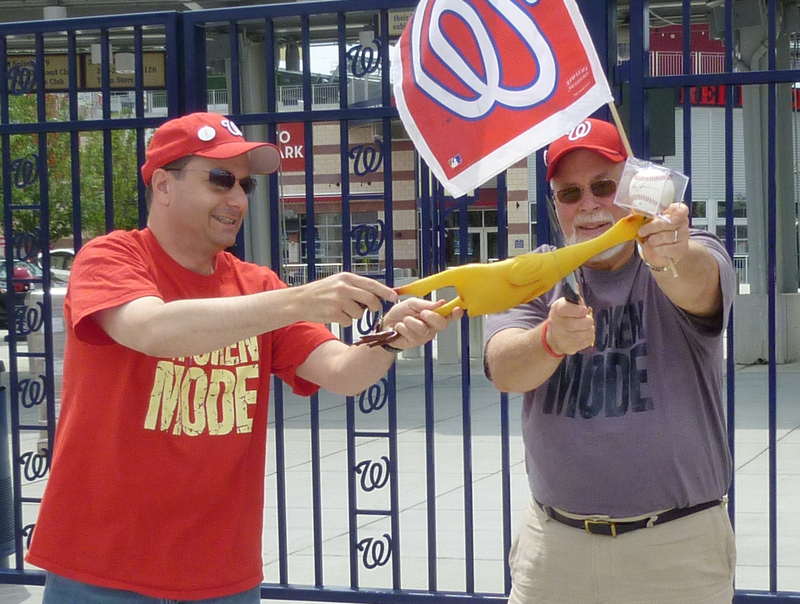 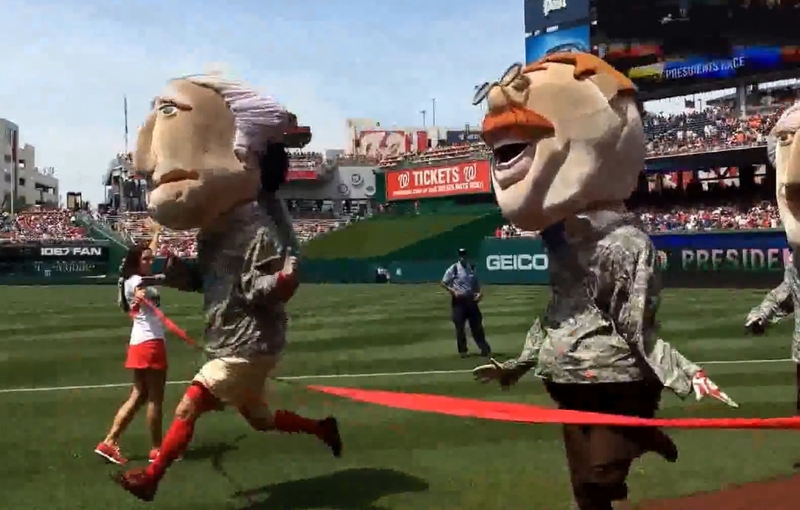 Longtime readers know that when the Nationals had their backs to the wall in the 2012 playoffs, Kaufman and Rubenstein performed the ritual before Jayson Werth’s historic walk-off home run in Game 4 of that year’s NLDS. 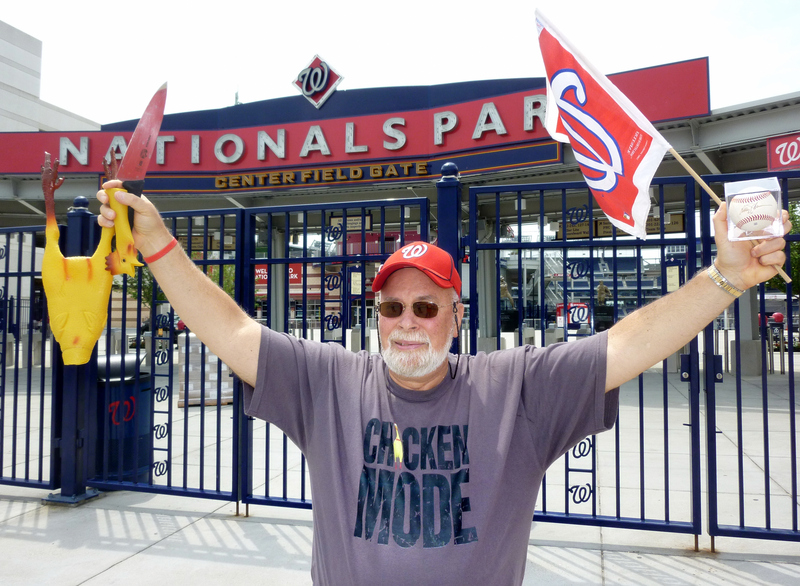 Kaufman has conducted many sacrifices since 2005, but the only other sacrifice this season came after a Memorial Day loss that dropped the team’s record below .500. 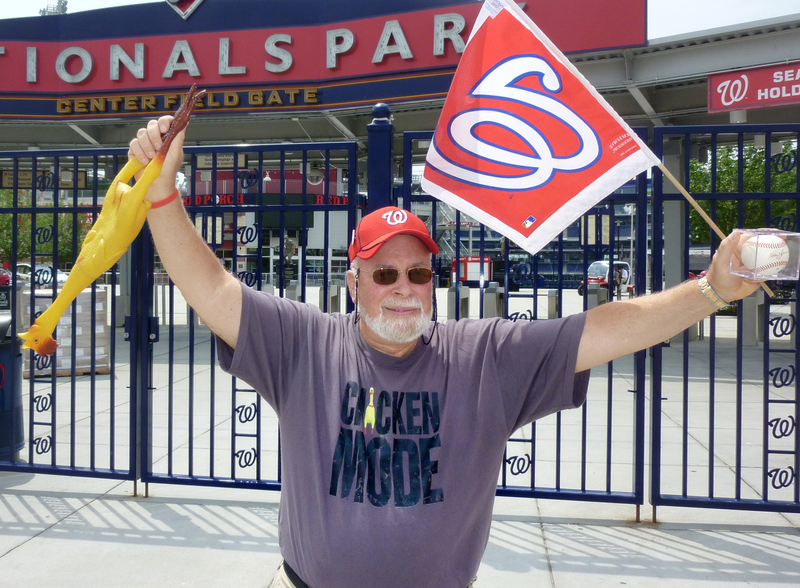 After that, the Nationals got hot, finishing the season 71-40.